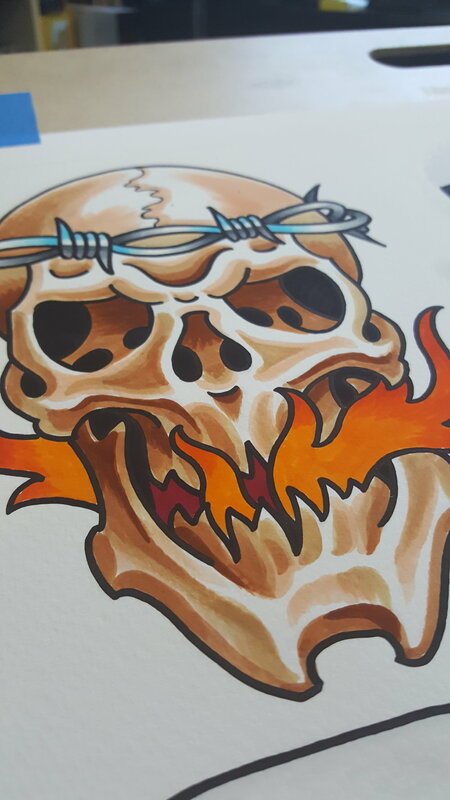 I'm working on the last page of my new skull flash set. 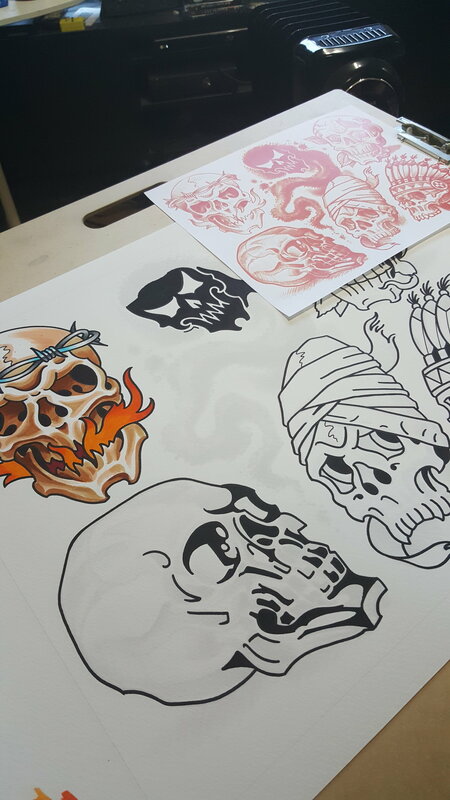 I'll soon be announcing details on purchasing this set, and booking an appointment to get any of them tattooed. 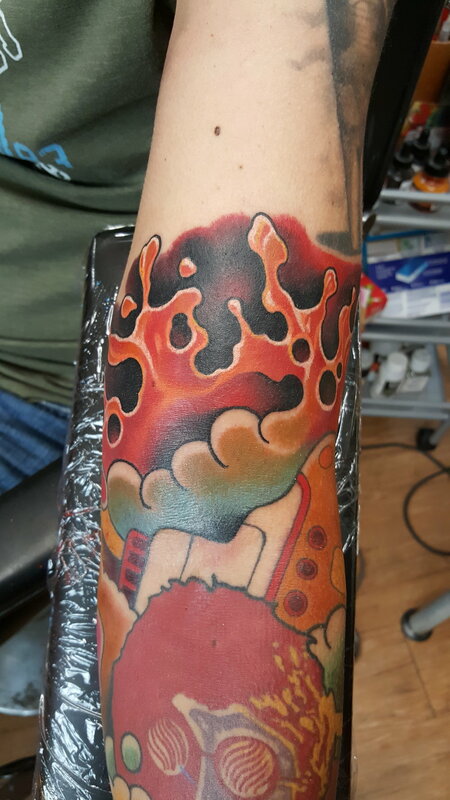 here's a little add on to a sleeve I started a while ago. Email me through the contact page to book a tattoo appointment.